← Le mielleur de Pondichery. Well, that’s not quite true. 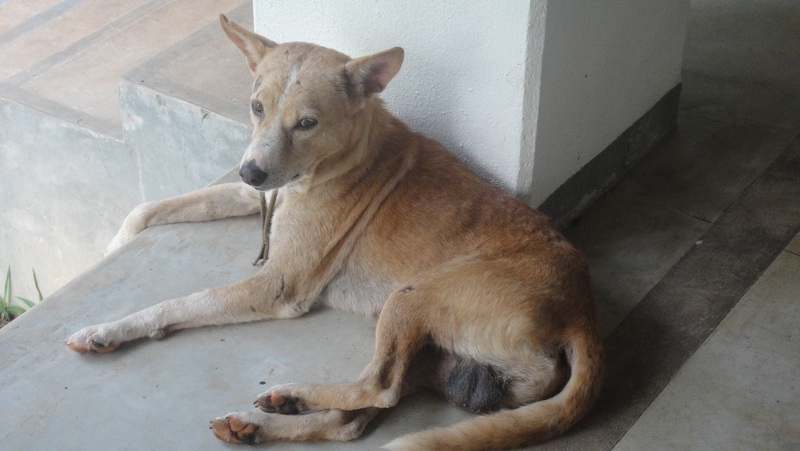 There is also “Brutus” (as we’ve named him), a battle-scarred old dog who seems to enjoy our plantation home’s wide verandahs to escape the sun. We sadly said “bon voyage” to our French enclave in South East India, and flew over the Bay of Bengal to my second home, Sri Lanka. I worked out we’ve now visited the island known as Serindib, the tear drop at the bottom of India, eight times. I never grow weary of visiting this island. In fact, driving from the airport, I felt a wave of familiarity, nostalgia and a warm comforting sensation. After the crazy that is India, the Sri Lankan roads seem so civilised. I had almost forgot that those zebra lines across the road have a meaning; that a red stop light is not a suggestion; and those flashing orange lights on either side of the front and rear of an automobile actually have an engineered purpose. Our driver even used his indicator as he sped past the pedestrians, bicycles, motorbikes, tuk tuks, buses and trucks that were hindering our journey to paradise! Our temporary home is Comilla Bungalow, an old British Planters residence about an hour from the coast and tucked away in a coconut plantation. We truly feel we are in the middle of nowhere. The bungalow’s gardens are surrounded by walls varying between shades of green jungle on one side, and the ordered rows of swaying palms on the other. 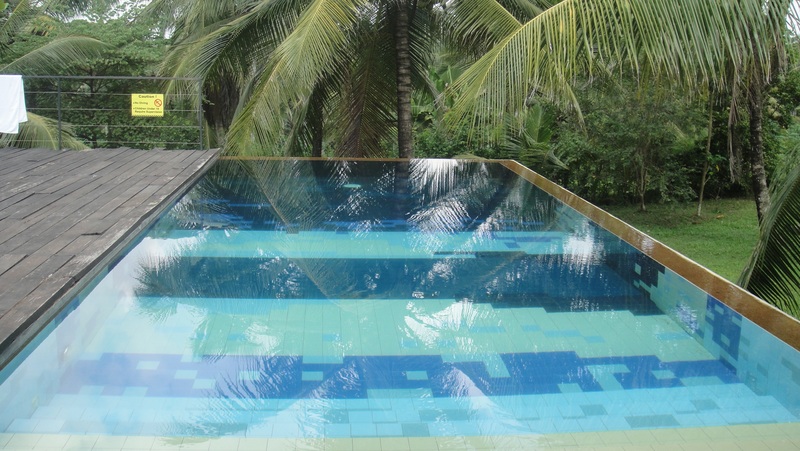 Sitting in the dining room, looking across the infinity pool, my attention is constantly distracted by flashes of fluorescent blue – the resident Kingfisher who is taking stolen baths in the pool – or glimpses of cardinal red – the woodpecker is DIYing a home in the coconut palm in the garden. Don’t worry, I’m not going to turn all ornithologist on you. Crazy hair, with a pair of binoculars bouncing off my chest, and smelling like bird poo is not my thing. The 140-year old bungalow is a long building of lime-washed plaster, terracotta roof tiles, towering teak ceilings and a mixture of teak and polished concrete floors. 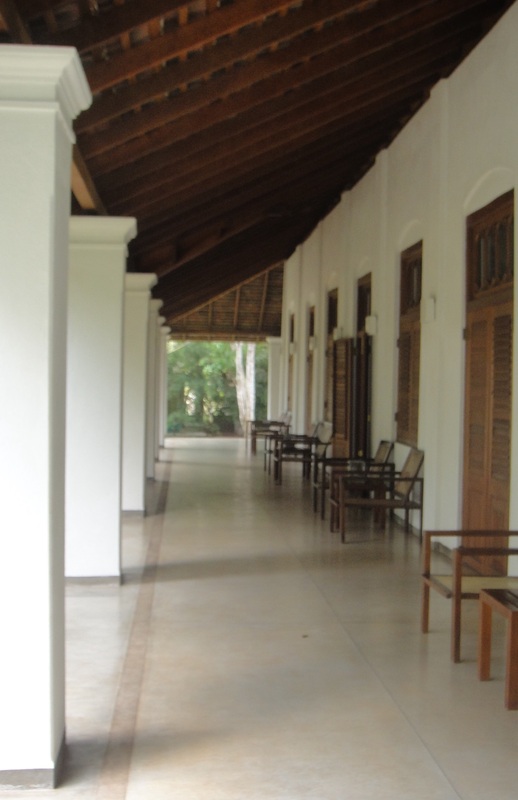 Every room is surrounded by shuttered French doors that open onto the deeply shaded verandahs. The only sounds are the chirps, calls and songs of birds; the whir of the ceiling fan and, well … nothing. Almost nothing; there is the slap of Mr Marthil’s thongs as he crosses the verandah. Mr Marthil is our houseboy. I know that sounds very superior and Raj-era British – but seriously, the person (usually a man) who runs the engine that is the kitchen, brings us tea, changes the sheets, makes the bed, scoops the pool clean and locks up the house at night is usually referred to as the “Boy”, no matter what age they are. My elderly relatives who live in the hill city of Kandy have a “Boy” who is older than them and must be in his late eighties. So that’s us in our colonial sanctuary with the company of old Brutus, who looks like he once took on a tiger and barely lived to tell the tale. Two contented travellers, and Mr Marthil, who barely speaks a word of English. PS > We had stars in our bedroom last night. Fireflies that twinkled us to sleep. 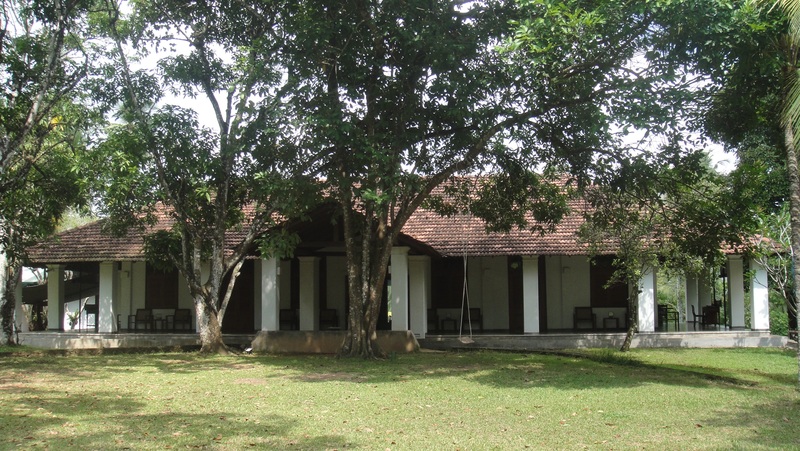 This entry was posted in Sri Lanka and tagged colonial heritage, Comilla Bungalow. Bookmark the permalink. 5 Responses to An 80 year old “Boy” and Us. Which do you guys prefer Sri Lankan or Indian curries? Also I heard 3 coins had closed down – can you still find them in the shops? Sri Lanka Rice & Curry – World’s Best! Shops? We’re relaxing in a private villa! Who has time for shops?